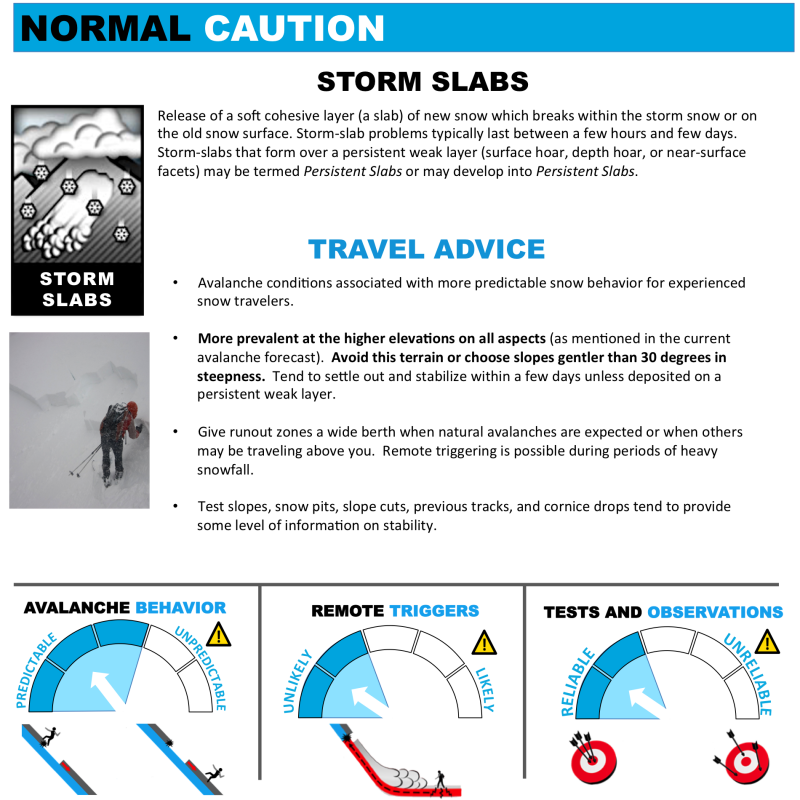 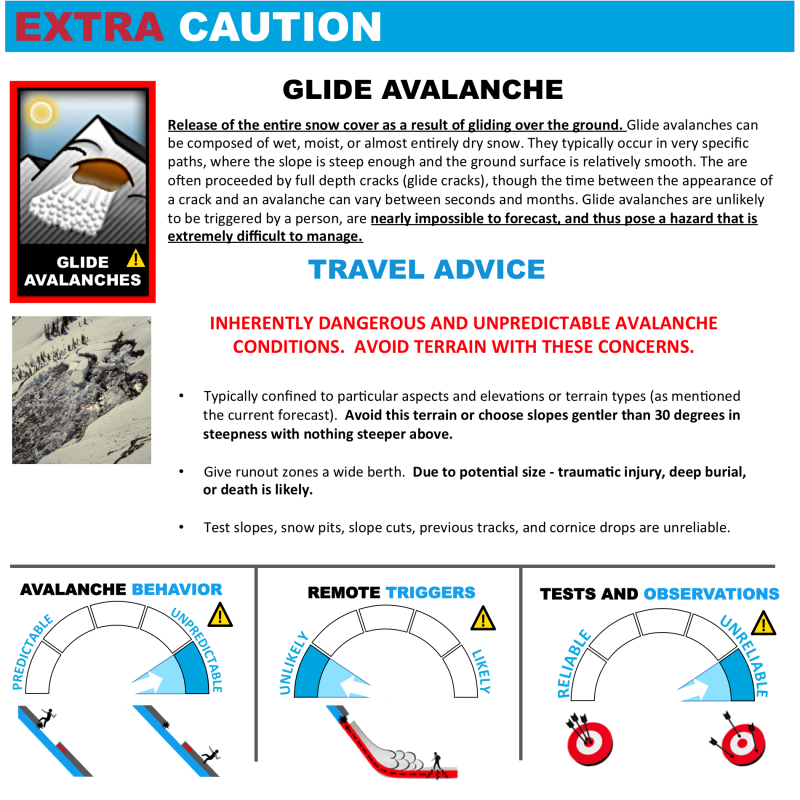 ABSTRACT: The following paper presents a new public forecasting tool designed to communicate travel advice specific to each of the established Avalanche Problems. 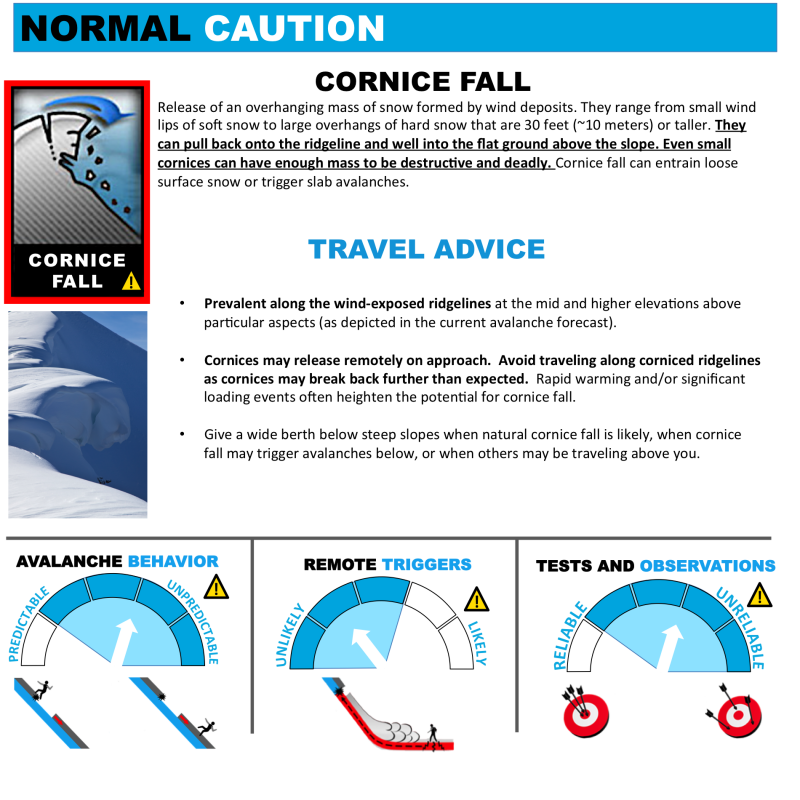 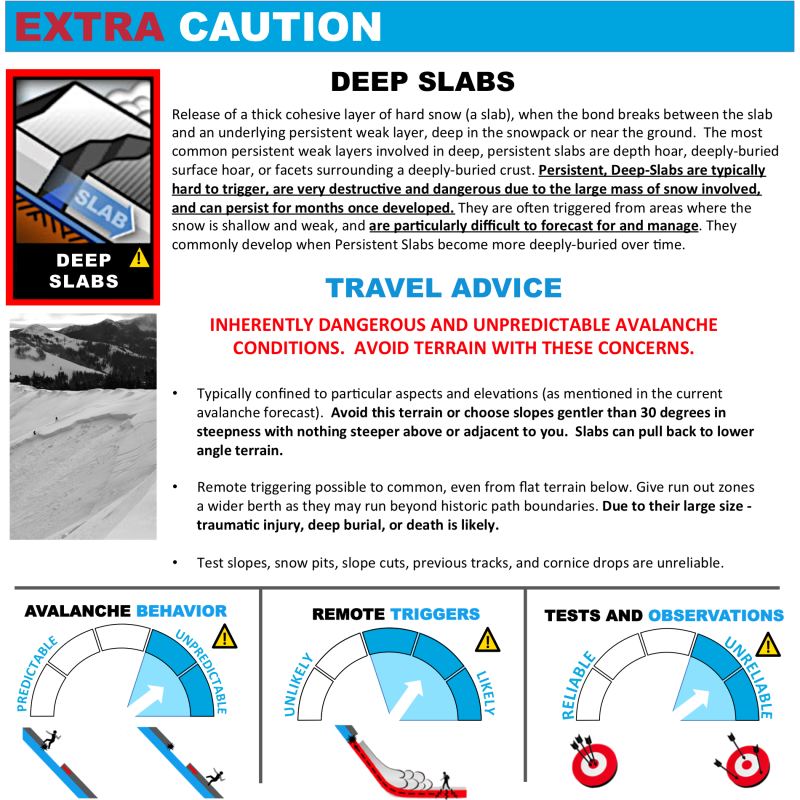 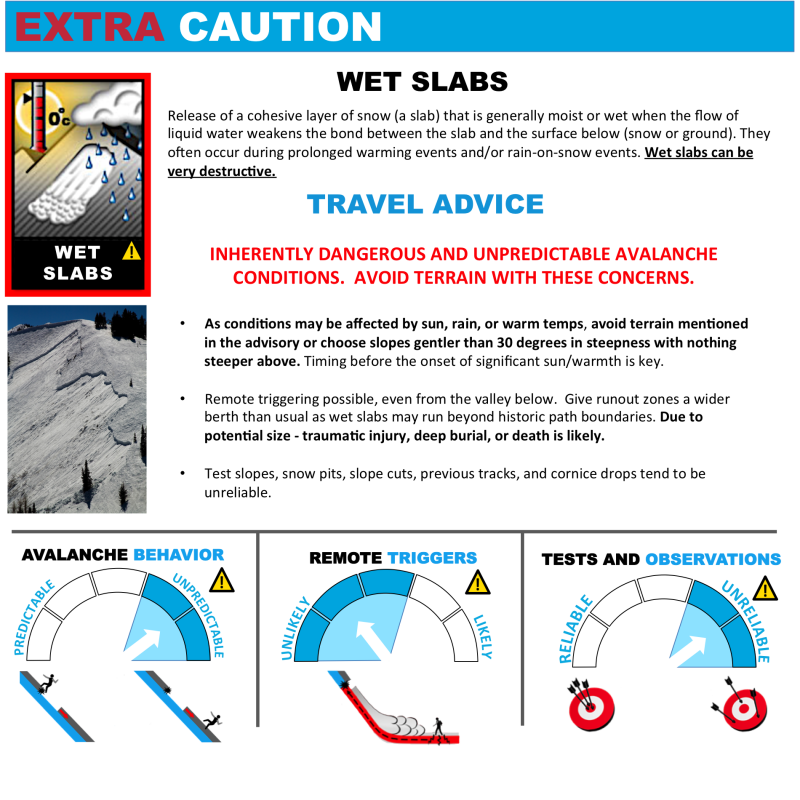 Avalanche Problems have become a mainstay, not only for forecast centers but also for avalanche education throughout North America. 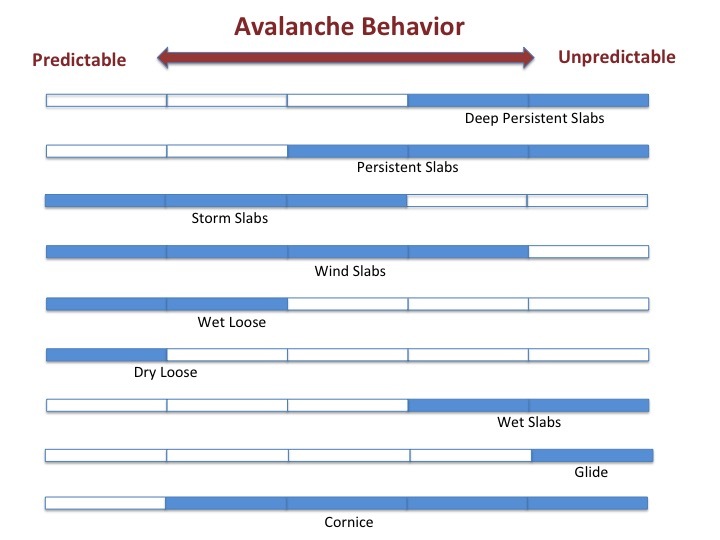 Among professionals, it is widely agreed that the type of avalanche conditions determines one’s choice of terrain. 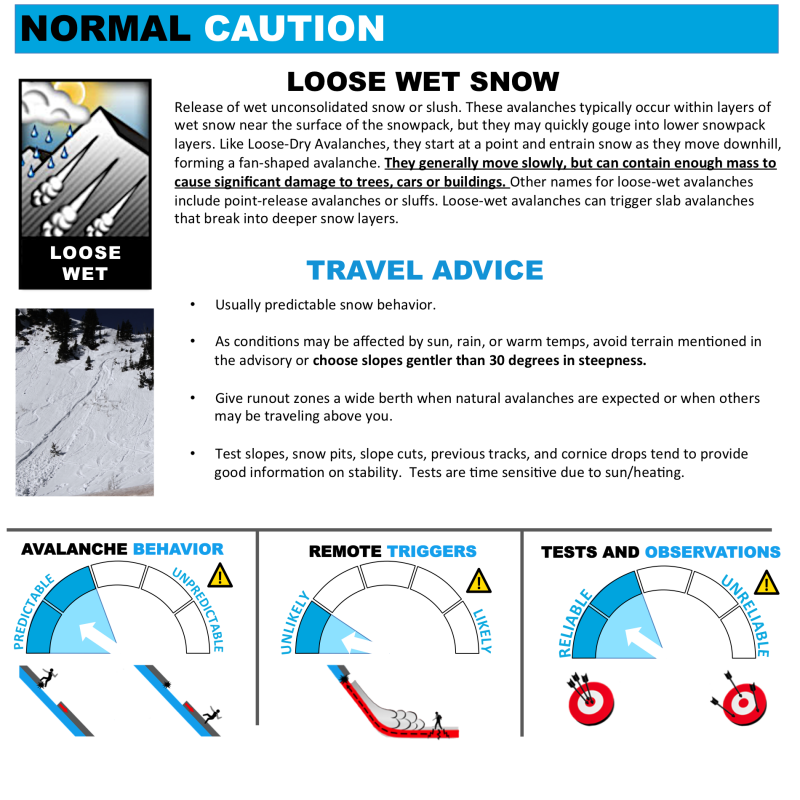 Many of our users are only beginning to understand this concept. 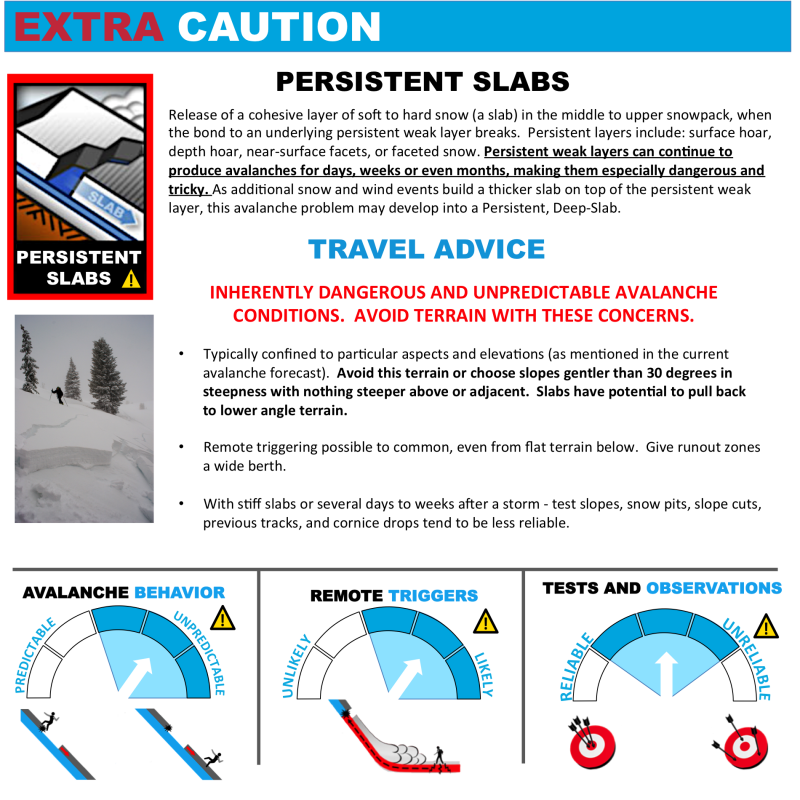 Therefore, we seek to expand the current descriptions by adding terrain management advice specific to each of the nine Problems. 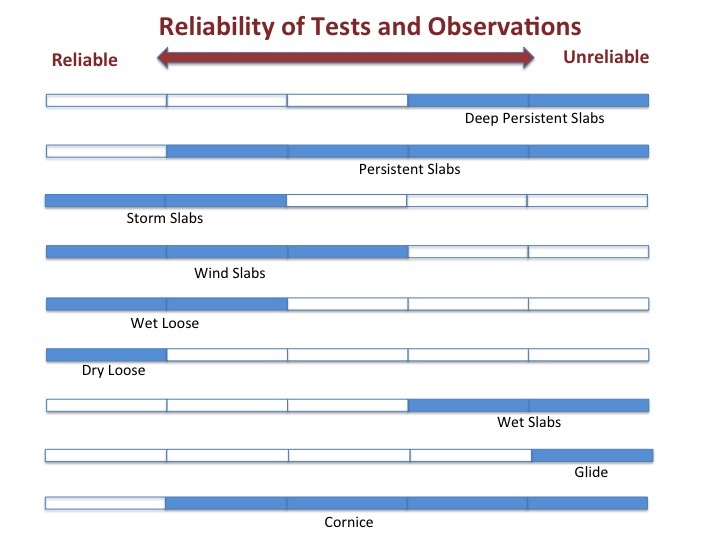 In order to accomplish this, a set of five metrics was established to determine each Problem’s inherent manageability. 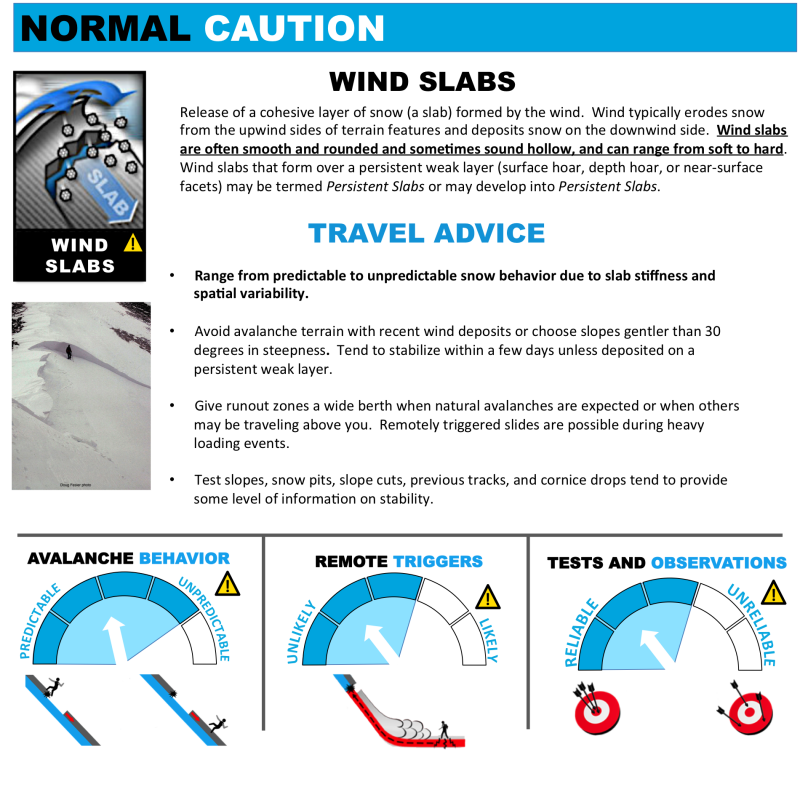 Compiled into a short paragraph, the advice will be displayed in a pop-up window along with additional information including a photo, video, graphics and associated definition. 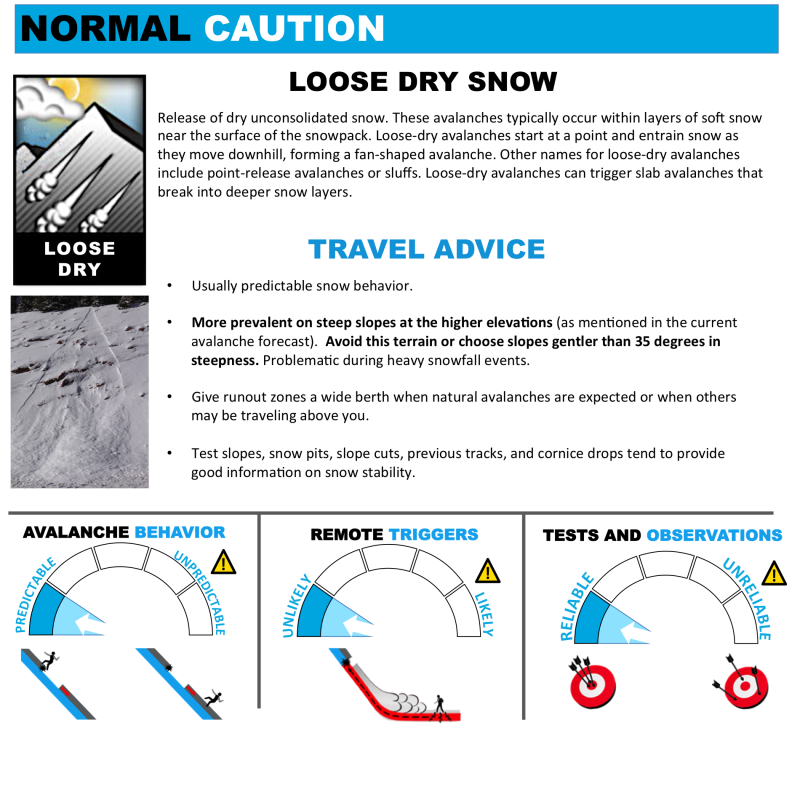 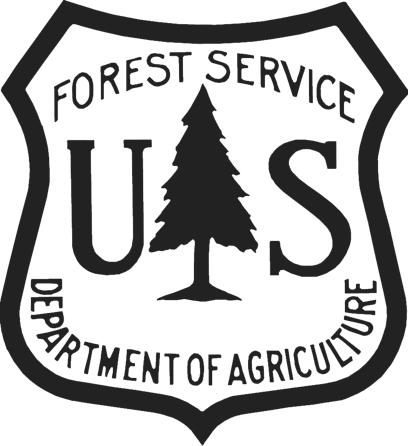 The pop-up window will be accessed from the daily avalanche advisory webpage through a subscript ‘i’ hyperlink located near the icon(s) for the day’s Problem(s). 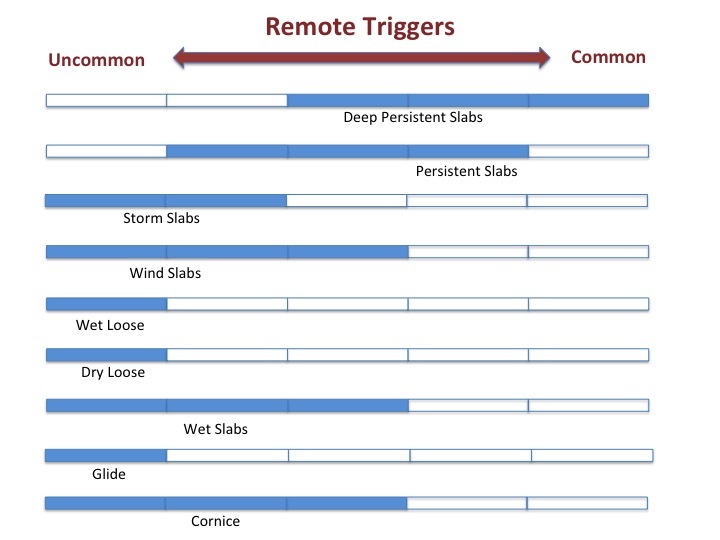 This paper concludes with a discussion of the many challenges encountered.